The Peregrine electronic scale is very accurate, and has a highly reduced sensitivity to frequency interference from mobile phones and fluorescent lighting. This scale is less susceptible to drifting lockup from the slow addition of granules and more capable of getting precise metering by weight than most electronic scales available today. The Peregrine electronic scale also features very accurate readings up to 920gr with a 0.02gr resolution. This will enable you to read anything from the bullet tip itself, casings and most importantly measure your reloading powder precisely to the mark. The non-zero functionality makes each propellant petal accountable (even if it’s less than 0.02gr) so that you get the most accurate and consistent reading possible. 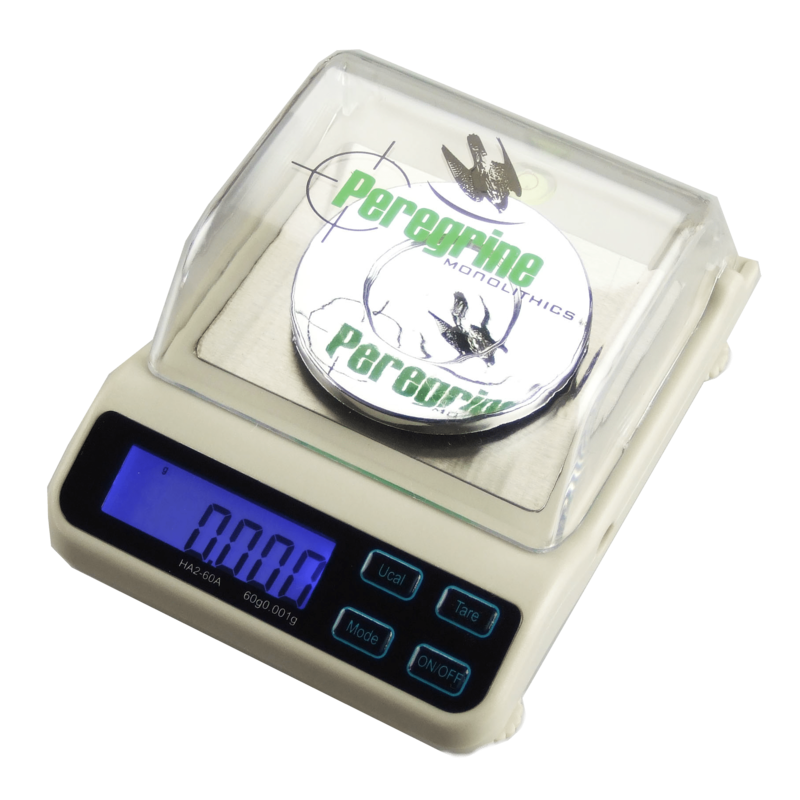 Included with the Peregrine electronic scale is a very easy and convenient calibration method using two separate weights. This ensures that you won’t run out of precision or consistency whether weighing bullet tips, cases or propellant.